A year ago, Motoko Rich interviewed me as part of the research for an article she was writing for the New York Times about Makoto Shinkai. Only a couple of soundbites made it in, so here is what I said in its entirety. MR: Are you familiar with Shinkai’s earlier work, and if so, can you describe how he has evolved as a director? JC: Your Name stands out in Shinkai’s work because it irons out many of the issues that have dogged his earlier work. 5cm/Second, for example, was hampered by a silly logistical issue, which was that it fell a few tantalising minutes short of feature length, and seemed to end with a pop video, as if the director had simply run out of time and money. Much of Shinkai’s work can be parsed as variations on a theme from Haruki Murakami’s short story “On Meeting the 100% Perfect Woman One Fine April Morning” (“Shigatsu Aru no Hareta Asa ni 100 Percent Onna no Ko ni De’au Koto ni Tsuite”), and Your Name finally delivers the “happy” ending that fans of that story, and indeed of Shinkai’s variations on it, have been waiting for (see my article here). Nothing is wasted in Your Name, everything has a pay-off. Every odd little observation feeds into the direction of the movie. It’s a proper, mature work from a director whose previous feature length work has been frankly wanting — proof that he has greatness in him. What would you say are his distinguishing talents? Shinkai is a master at depicting and investigating the distance between people. On Garden of Words, it is expressed in micro-expressions and gestures, inches on a park bench and the direction someone is facing as an indicator of their true feelings. In 5cm/Second and Voices of a Distant Star, it’s expressed through relativity and interstellar distances, but he excels at allegorising the way that human beings are separated by gulfs of yearning. He told me that he works by laying down dialog and sound tracks in a digital storyboard and then compliments them with images he finds around the internet before inviting animators in to illustrate his vision. He said he doesn’t consider himself a particularly good illustrator. Do you know if anyone else works that way? How is it different from other well know anime film directors? I don’t know of anyone who works specifically in that way, but his working method bears a resemblance to ways that image boards work in advertising and marketing. He makes no secret of his interest in a bricolage of real-world inspirations, which, I think, is an admirable way of admitting his own weaknesses as an animator, and then finding a way of making them irrelevant. Is the “successor to Hayao Miyazaki” label fair? No, it’s a horrible imposition to dump on the shoulders of a young animator, and nobody really knows what it is supposed to mean. At an exhibition level, in cinemas, it’s the distributors saying “we need someone who can put the same number of audience members in cinemas as that guy who’s been achieving big numbers at the box office from Princess Mononoke to The Wind Rises.” But at a reception level, among the audience themselves, it’s a meaningless term. Miyazaki was a one-off — any animator worth their salt doesn’t want to be the “new” anything, they want to be an original! Shinkai doesn’t even make films for the same audience as Miyazaki — he has a much more adult sensibility, so it’s a fallacy to expect him to suddenly make films with an all-family appeal. When foreign distributors say they want a “new Miyazaki”, what they are asking for is a guarantee of quality that will allow them to release one animated film a year from Japan that will sell a certain number of copies and garner good reviews. They want that kind of imprimatur and they are hoping that someone — Shinkai, or Mamoru Hosoda, or one of several up-and-coming directors — can fill that role. It doesn’t have a whole lot to do with style or content, it’s really about Blu-ray sales and tickets. How do you think Your Name will be received in the west? Why was it such a breakthrough blockbuster in Japan? Your Name will get positive reviews — it’s a great film; it’s a fun film; it’s a thoughtful film. It was well-received in Japan in part because it is undeniably a good film, but also because it tapped directly into an important part of the Japanese zeitgeist since 2011. Japan is full of people who lost someone dear to them; who lost their homes, who lost their families. 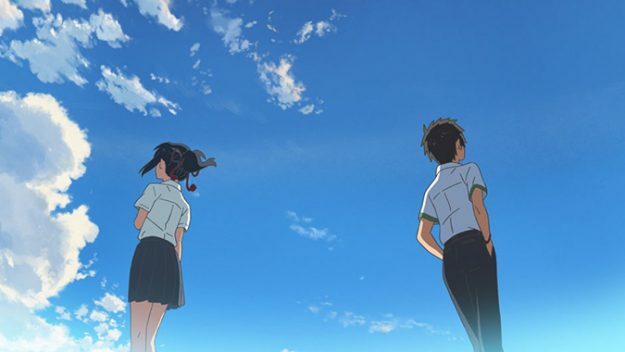 I think Your Name‘s appeal, almost inadvertently, partly derives from the sense of hope and closure that events later in the film offer a large sector of modern Japanese society. Can’t really say much more without giving away spoilers! 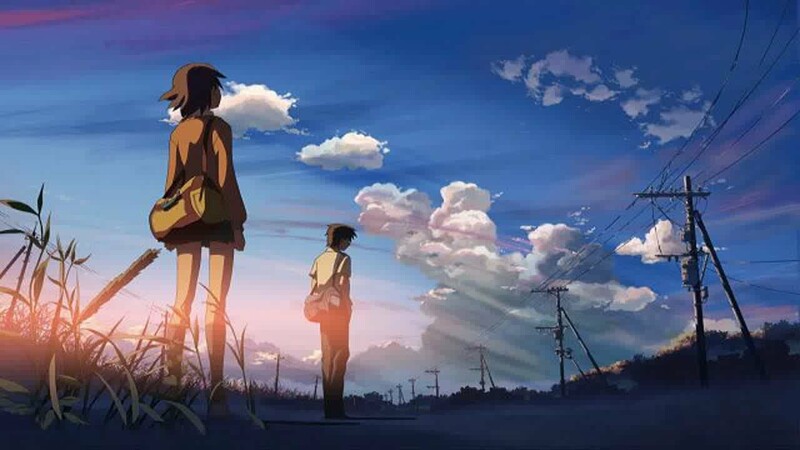 This entry was posted in News and tagged anime, Japan, Makoto Shinkai by ixarette. Bookmark the permalink.